Our ultra response, high voltage HS-8330SH and HS-8335SH are premium performance servos at an affordable price. Engineered with extremely durable steel gears, dual ball bearings and highly efficient coreless motors, these two provide the ultimate in servo reliability. The HS-8330SH brings quick action to your 500+ helicopters and 1/10th scale vehicles while the HS-8335SH equips your 35% aircraft and 1/8th scale cars and trucks with powerful torque. 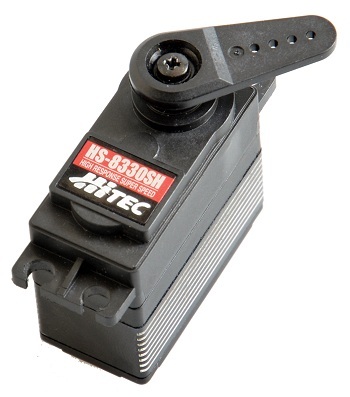 As with all Hitec’s HS-8000 series of servos, this economical pair both feature a 25-tooth industry standard output spline. If you like this article, check out this additional article on Hitec.